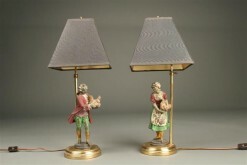 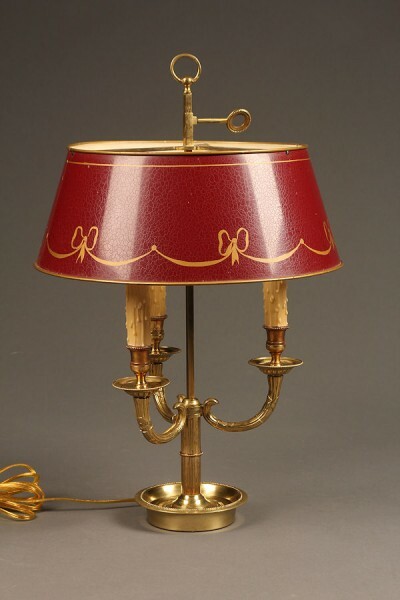 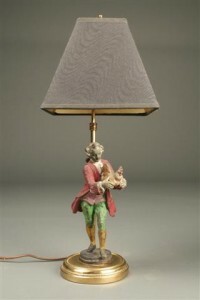 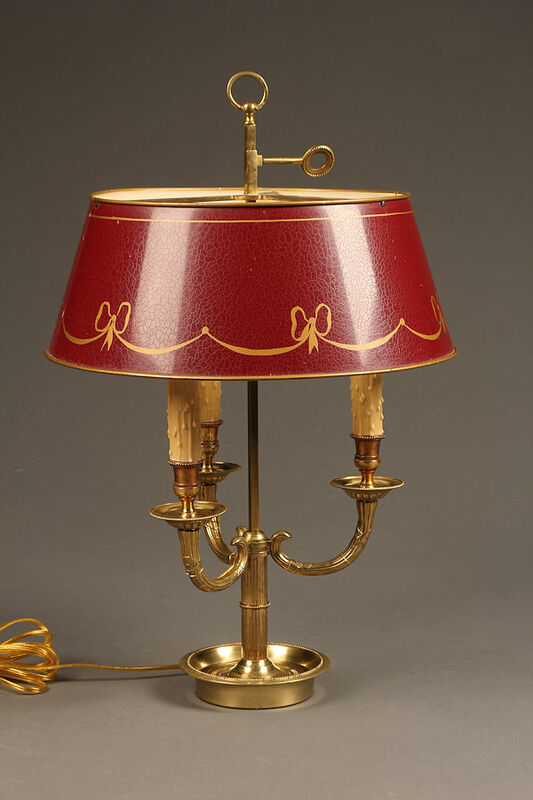 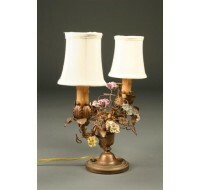 French bronze 3 light lamp with tole painted shade.French bronze 3 light lamp with tole painted shade. 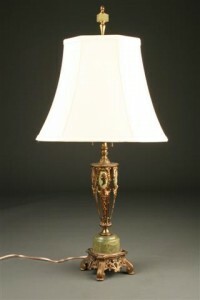 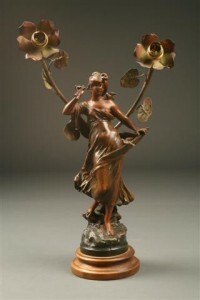 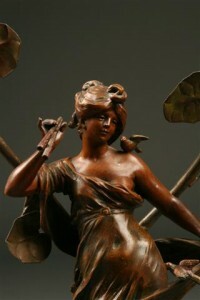 French bronze 3 light lamp with tole painted shade. 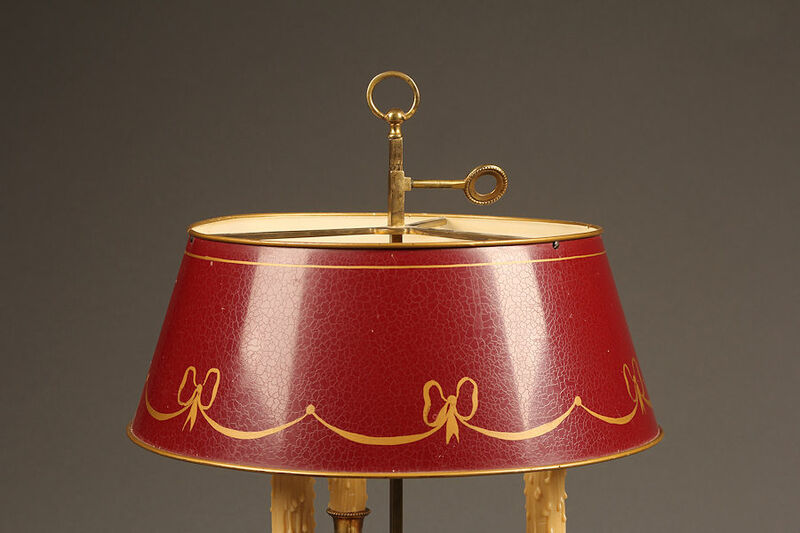 French bronze Bouillotte 3 light lamp with tole painted shade, circa 1920’s. 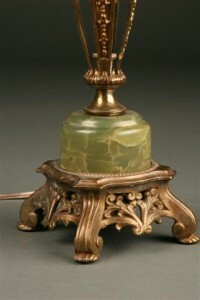 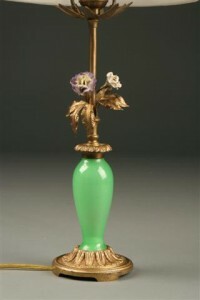 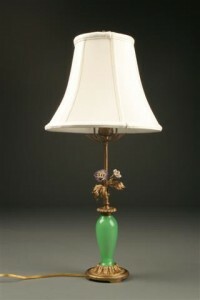 French bronze and green glass lamp.